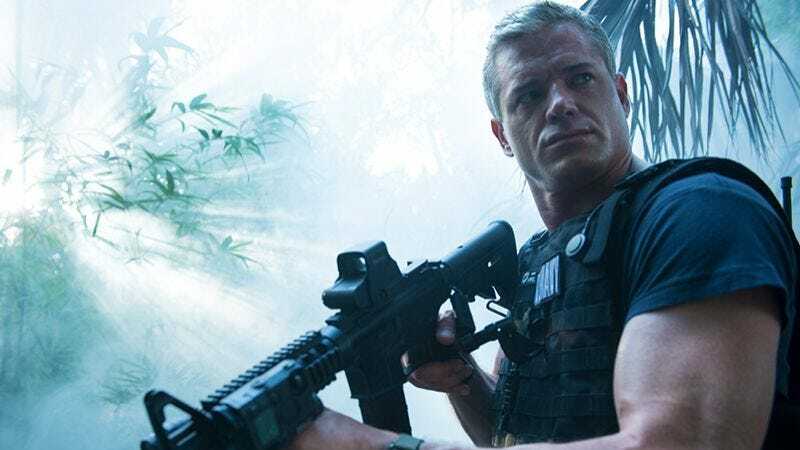 It looks like TNT is hoping to spend another year cooped up with Eric “McSteamy” Dane on a battleship, as the network has renewed The Last Ship for a third season. The drama series is executive produced by Michael Bay (and based on a book of the same name by William Brinkley), and it stars Dane as the captain of a Navy destroyer that happened to be out at sea while a virus wiped out most of the human race. Now he and his crew must sail around and have boat-related and virus-related adventures, all while tolerating the exploits of Adam Baldwin. This news comes from The Hollywood Reporter, which notes that The Last Ship is the highest rated “scripted series this summer among adults 25-54.” Apparently that means there are a lot of people out there who wouldn’t mind being cooped up with Eric Dane on a battleship, no matter who they have to tolerate. The Last Ship will wrap up its second season this September.